I pretty much adore Shannon Hale, and I haven't even read Enna Burning yet. I don't know why I keep putting it off. Maybe because then I'll have read it and I won't be able to look forward to it anymore. (Come on. That totally makes sense.) 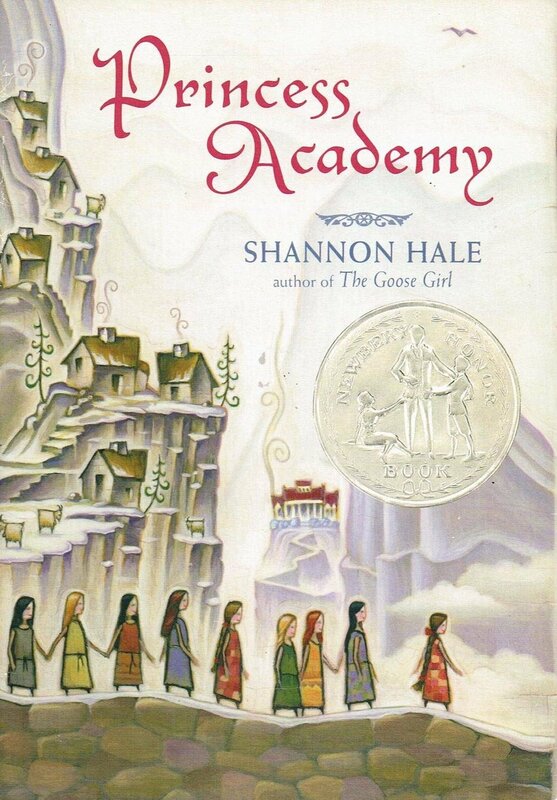 So rather than read the sequel to The Goose Girl, I read Princess Academy. It had everything. A poor village, an ultimatum from the King, an extremely likable heroine, a love interest, a school setting with a beastly teacher and a nice handyman/cook, horrible bandits with names like Dogface and selective telepathy. It was wonderful. The love interest storyline was believable and thrilling, and Miri's conflicting feelings about Peder and the unknown prince were also very, very well done. Grown-ups take notice—not only was Peder dreamy... so was Miri's father. He reminded me of Elizabeth Peters' Radcliffe Emerson. Swoon-eriffic. I might break down and finally read Enna Burning this week.